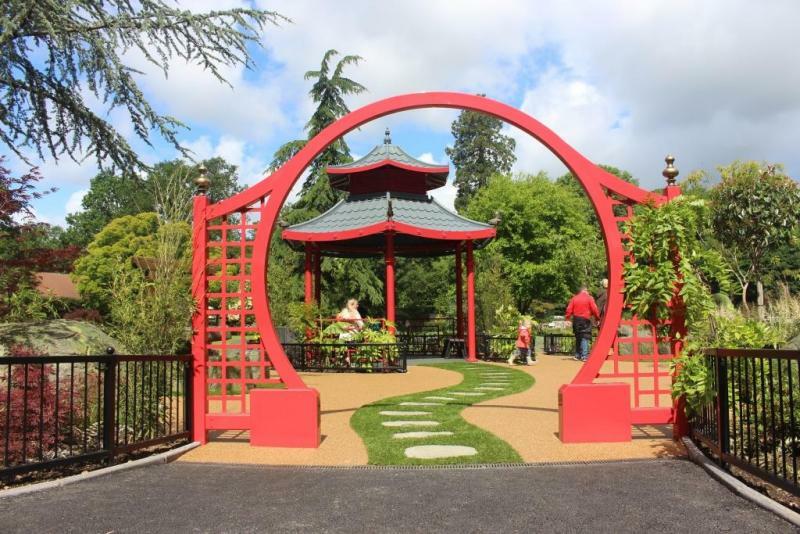 In the centre of Paultons Park gardens you can now find a little piece of Japanese paradise. The Japanese Garden has been created to bring a sense of relaxation away from the excitement of the rides and attractions. In many Japanese gardens you will find water, stones and beautiful trees. Water symbolises calm and wonder. Japanese gardens are all about creating atmosphere and ambiance. These two areas have it all. The Japanese would call this Shakkei (borrowed scenery) incorporating background landscape into the composition of a garden. Guests enter the garden through a stunning iconic moon gate, this represents the moon rising in the sky. You are greeted by an amazing copper fountain which stands at 3 ½ m high. 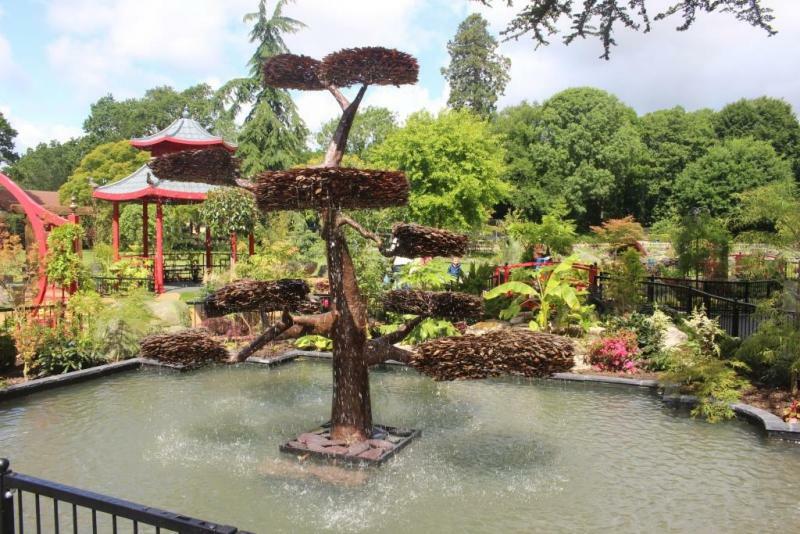 It is a real statement piece designed to look like a cloud tree which is the Japanese method of training trees. It is known as ‘Niwaki’. The technique of Niwaki is more about what to do with a tree than the tree itself. As you approach the highest pond you can see this flowing into a stream which gently meanders through the rock and pebbles under 3 arched bridges. The bridges are privileged sites for admiring the beauty of the landscape. The stones symbolise the forces of nature. 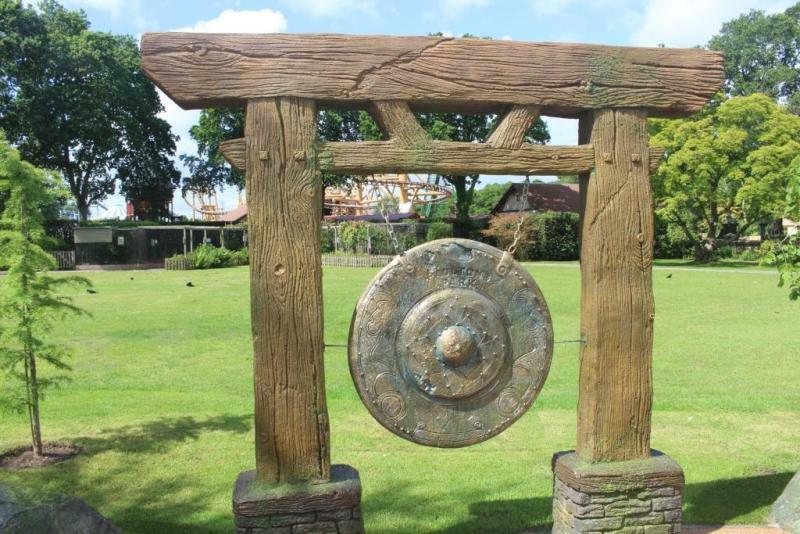 As you make your way through the garden you will also see the impressive gong feature. The gong is viewed as a symbol of status and the secrets of the gong are closely guarded. Some uses of the gong include meditation, healing, communication and announcing ceremonies. Throughout the garden there are themed seating areas with relaxing sounds, perfect for taking a break and having your lunch. 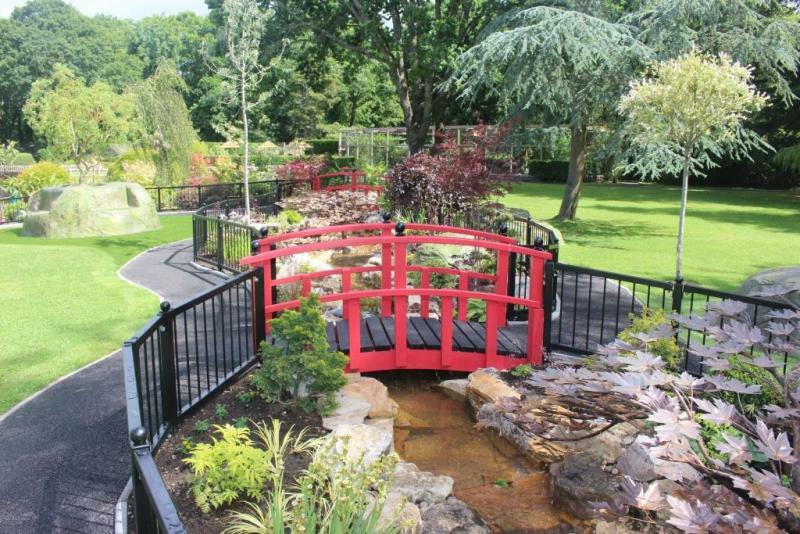 Come and relax in the beautiful new Japanese garden!